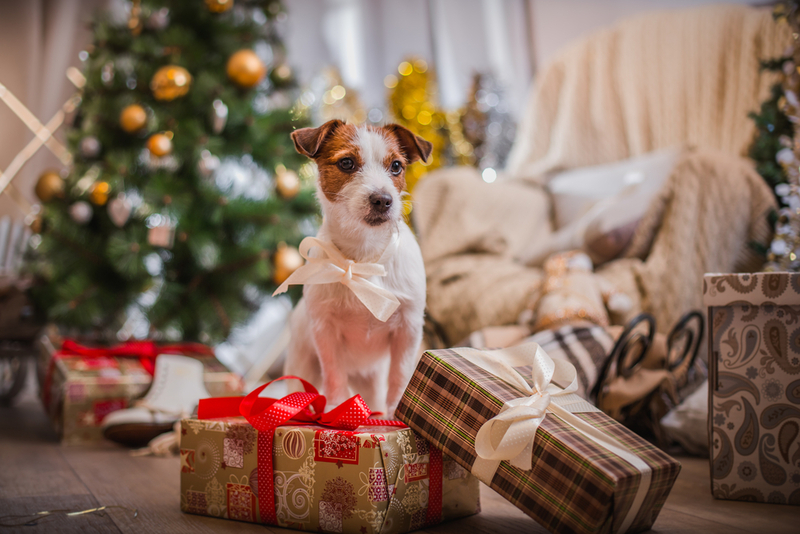 The votes are in, and the staff here at Van Isle Veterinary Hospital have submitted their Top Five Christmas Gifts for your Dog this Christmas! 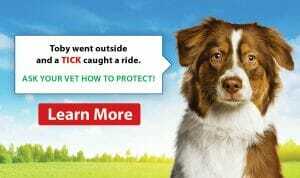 Disclaimer: Please make sure that your pet is supervised while enjoying his/her favourite toys and treats. 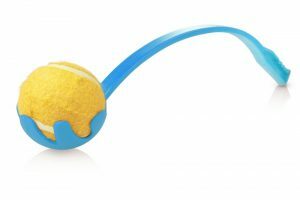 Chuck It Balls: The irresistible “scrouchhhhing” sound is oh so satisfying to your ball-enchanted baby. It flies far, it bounces high, and it is fairly indestructible. This ball comes in multiple colours, with or without whistle holes, and even comes in glow in the dark for those late-night play dates!! Food Balls: The two best words in your dog’s (limited) vocabulary. 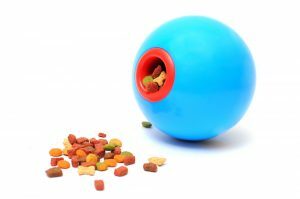 What could be better than playing with a ball that actually dispenses food? 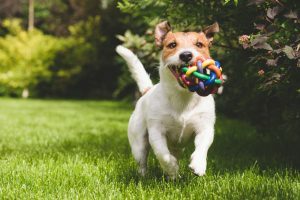 Eating and playing at once will be sure to keep your furry friend busy for at least 2 minutes so you can put your feet up while your pooch plays. 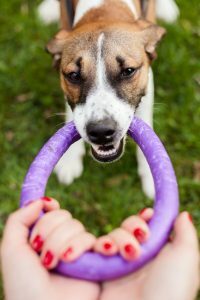 Silicone chew shapes: The perfect big ball that your dog can’t destroy, and can actually pick up with his/her teeth. 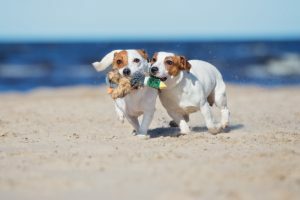 Makes for quick and accurate fetching, and most come with a squeaker so that you don’t have to worry about things being too peaceful for too long. No more long moments of peaceful bliss for you! Safe Animal Stuffies: Dogs LOVE stuffies that squeak! You can enjoy hours of fun playing with your dog with their favourite stuffy. Please make sure you’re close by when you give your pooch one of these because a favourite activity of many is to chew out those beady little eyes, remove those fluffy innards and call it a kill. Just remember, nobody likes a foreign body removal surgery for Christmas so make sure you choose a stuffy that is specifically made for pets and that your pup doesn’t swallow anything he or she shouldn’t! Why Do Our Pets Need a General Anesthetic to Have Their Teeth Cleaned?